Decorating our homes for Christmas is one of our favorite pastimes. 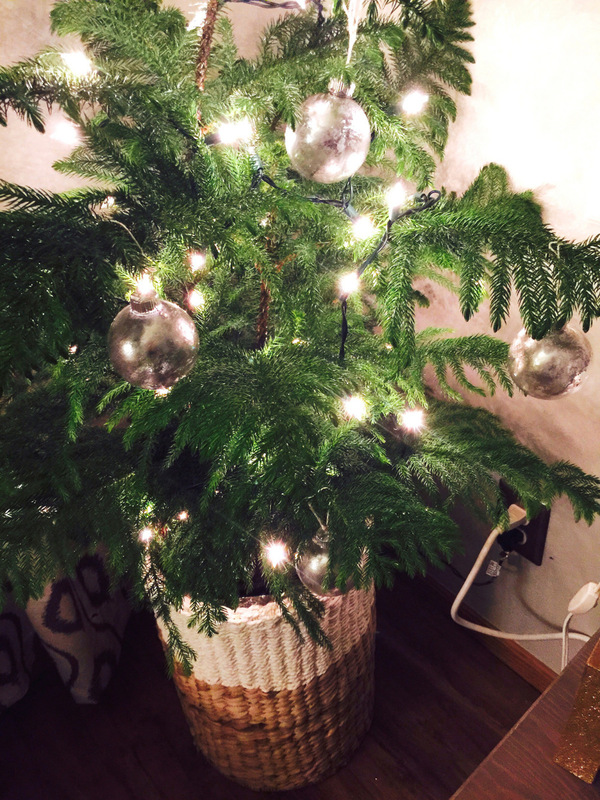 This year, we wanted to DIY some holiday accents to save some money while spending quality time with our friends! 1. 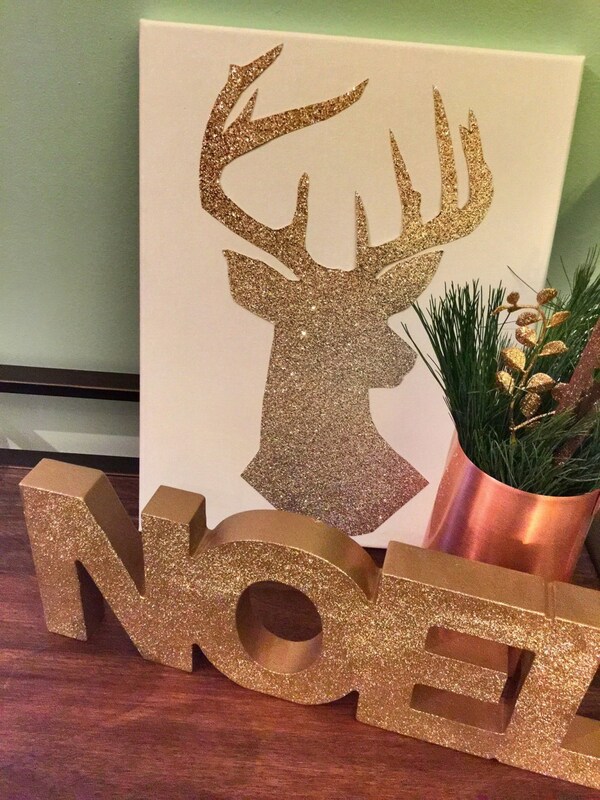 Choose a silhouette or outline of a deer (or any of your favorite holiday symbols!) and print on a sheet of cardstock. Cut out the deer silhouette. 2. 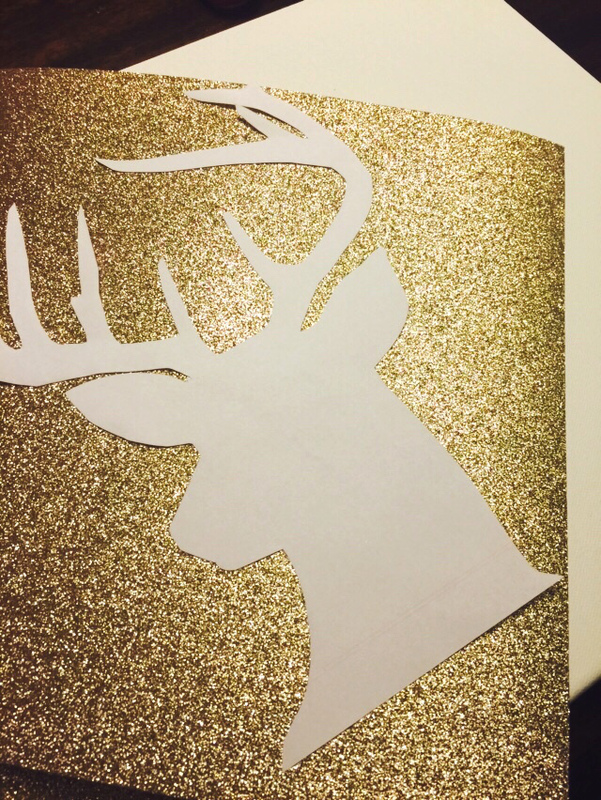 Trace the deer silhouette on the backside of the glitter scrapbook paper. Then, cut out the deer silhouette on the scrapbook paper. 3. Place dots of glue on the back of the deer silhouette and glue down to canvas. 1. Remove tops of the ornaments. Spray two sprays of spray paint directly into the bulb and swirl around, covering the entire inside of the bulb. 2. Add two to three drops of watered down gold craft paint into the bulb and spray a squirt of water into the bulb. 3. Aim the blow dryer into the bulb, while swirling the paint/water around, until paint is completely dry. Dump out any excess water.